GIUSEPPE MAKES A MOVIE: Cinematic Nirvana In The Trailer Park – Schlockmania! Child stardom usually ends in one of two ways: either the ex-child star crashes and burns as an adult from too much Hollywood chaos too soon or less often they make a slow, gradual transition into the grown-up acting world. Giuseppe Andrews chose a rather obscure road between the two: the former teen actor who grew up on screen in movies like Independence Day and Detroit Rock City left acting behind to become a one-man-band filmmaker in a seaside California trailer park. 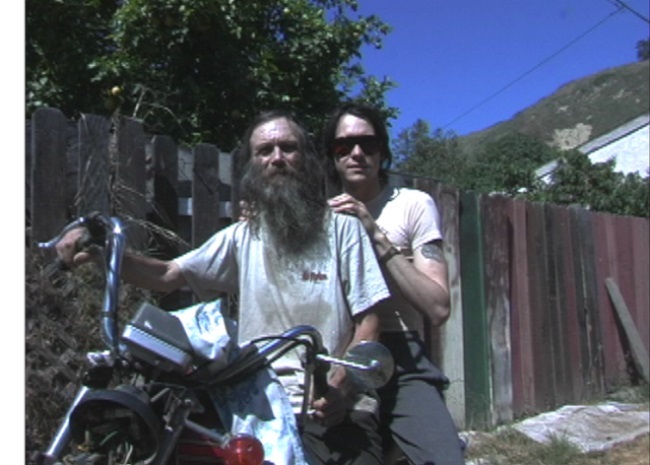 Andrews spent several years combining his love of cinema with the flotsam and jetsam of his trailer-park upbringing to create a bizarro type of underground, shot-on-video avant garde cinema – and Giuseppe Makes A Movie takes the viewer into his production process. Adam Rifkin, who directed the teenage Andrews in Detroit Rock City, reunites with him to chronicle the production of his film Garbanzo Gas and that acts as the prism that allows us to get a view of Andrews’ background, filmmaking style and, most importantly, the cast of real-life eccentrics that fuel his work. 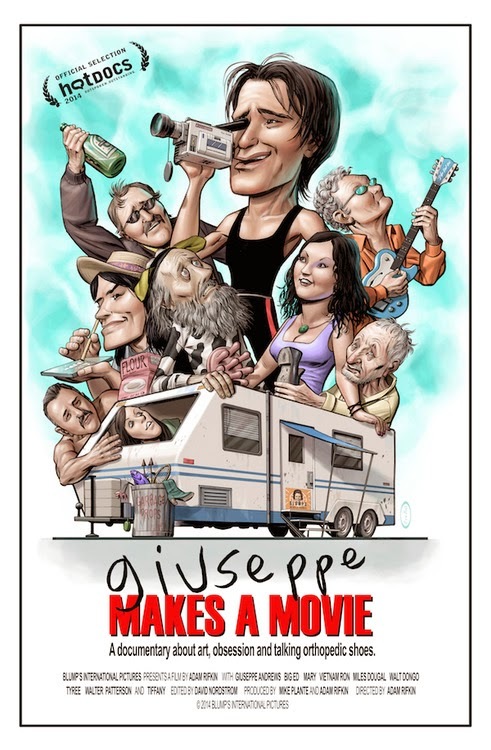 As Giuseppe Makes A Movie reveals, the Andrews filmmaking style is all about the filmmaker pursuing his muse in an intimate, unfiltered and no-frills style: he spends about $1000 on the average production, makes them in a day or two, feeds the actors lines from a hand-written script and usually pays his cast members in booze instead of cash. His one collaborator (and trailer roommate) is his father and he otherwise writes, directs, films, edits and scores them himself on consumer video equipment. As for the content of the films, it suggest the playful scatology of early John Waters colliding with the social/class satire of Luis Bunuel. With a description like that, one might expect for Andrew’s “gutter auteur” style to be a hipster put-on or that the film might be forced Troma-style wackiness but Giuseppe Makes A Movie is disarmingly real and affecting. Andrews reveals himself to be serious about his strange pursuits, reveling in the instant gratification his filmmaking style provides and revealing a surprising love for classic arthouse fare (a visit to the shed he lived in as a teen shows a video shelf stacked with Fassbinder, Pasolini, etc.). More impressively, Andrews treats his oddball stars like collaborators and shows genuine care for them: in an amazing moment, he cleans up the oldest member of the troupe when he has an accident en route to the set. Elsewhere, another memorable moment arrives when Tiffany, one of the few female cast members, tears up as she admits she thinks of Giuseppe and his father as family. As the documentary draws to a close, there’s an amazing party sequence where the cast rocks out with Giuseppe in his trailer as he plays guitar for them with his dad. You could spend lots more on your film project than he does but you’d be hard pressed to get the satisfaction that he appears to get in this moment. Such a scene is representative of how Giuseppe Makes A Movie proves that art is often at its most fulfilling for the artist when it is created on the simplest, most intimate scale… and that beauty and cinema truly lie in the eye of the beholder.